Reading was on my mind this week. I read a lot, newspapers, magazines, books, and mostly on paper. I like paper books. I was wondering if reading things on paper was becoming a hallmark of the geriatric segment of our society? I do know that the Harry Potter books are read by ‘tweens and octogenarians and all points in-between. Anyhow, who reads these days? “Among those who said they had read books, the median figure — with half reading more, half fewer — was nine books for women and five for men. The figures also indicated that those with college degrees read the most, and people aged 50 and up read more than those who are younger.” (From an AP-Ipsos Poll conducted in 2007 and summarized at http://www.msnbc.msn.com/id/20381678/ns/us_news-life/t/poll-one-four-adults-read-no-books-last-year). Might book reading become a cultural divide between the elderly and everyone else? This was a difficult question to find any information about. Reading can bring people together. Debora Powers (2009) describes an multi-generational book club that was successful in getting children, parents and grandparents talking and sharing around a common book. But still I wonder if the young will still get lost in the wonder of books. What about electronic books (ebooks)? Are they just a high tech tool embraced by the Millennials and all those younger? Do ebooks have appeal for us old paper guys? 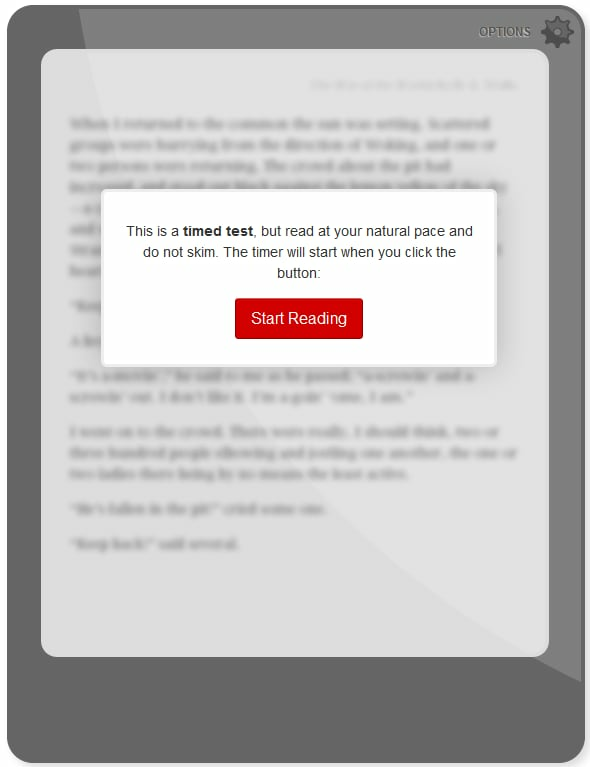 One article mentions that ebooks, due to their adjustable text size and bright, clear screens actually make reading easier for older people with our older and less flexible eyes (blog post by Tony on March 3, 2010. eReaders for the elderly – A useful gadget for older people. http://www.ebookanoid.com/2010/03/03/ereaders-for-the-elderly-a-useful-gadget-for-older-people). What are your reading skills? Just for fun, follow this link and take a quick reading speed and comprehension test. Powers, D. What generation gap? Reading Today, 2009, 26(4), 28 (http://www.reading.org/General/Publications/ReadingToday/RTY-0902-gap.aspx). 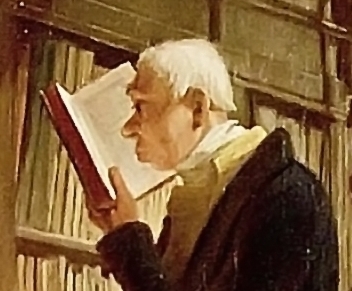 “The Bookworm” by Carl Spitzweg, 1850 (http://en.wikipedia.org/wiki/The_Bookworm). OK. I took the reading test. Finished the passage in 52 seconds and got all 3 questions correct. But I was still in the lower quartile for speed which put me barely in high school. I like reading slowly to get the most detail out of what is being described – like almost seeing what the words say. I like reading books because it is the best way to fall asleep – which is why I don’t like ‘reading’ books on tape, DVDs while driving. And what about the appeal of books on DVD. I do see some advantages with ‘ebooks’ – but just like holding an old LP album in my hands while listening to it on my turntable instead of DVDs and liner notes that are way to small for reading – give my a book in my hands that I can hold on to. Great piece, Rodger.